Donations to the Community Chest Fund Foundation will not be used to compensate victims of the Paqpaqli car crash, President Marie-Louise Coleiro Preca said on Thursday. 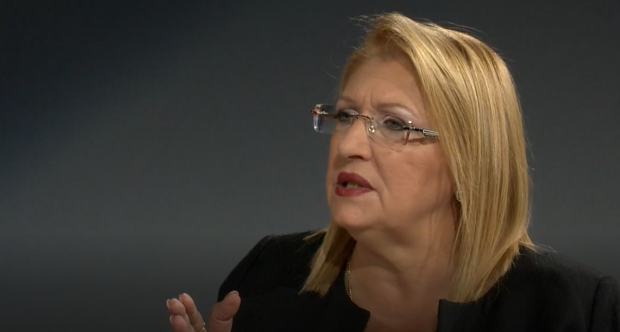 “I want to assure everyone that donations made to the Community Chest Fund will continue to go for their intended purpose,” President Coleiro Preca said in the 10Q interview programme on Net TV. The Community Chest Fund on Saturday announced an out-of-court settlement with 11 victims of the crash. The undisclosed compensation is to be paid by an insurance company and the government. The victims were injured when a supercar taking part in a 2015 charity show hosted by the Community Chest Fund on the old airport runway crashed into the crowd. Ms Coleiro Preca said she could not say more about the agreement, because of the ongoing criminal proceedings, but she insisted that the settlement did not imply any admission. Criminal proceedings would continue so as to establish the whole truth of what had happened, and who was liable. However it was felt that the victims should not wait many years before receiving compensation, she said. Replying to other questions, by journalist Sergio Mallia, President Coleiro Preca said both major political parties were showing a willingness to reform the Constitution. Talks were being held but she could not say more because this was a delicate matter and everything would be explained in the proper time. She admitted, however, that she wished more progress had been made in this area. The President was also questioned about a recent visit to Dubai and her presence at a fair, where she was criticised for having reportedly promoted Malta property sales. She insisted she had done nothing of this sort. This was a major international fair which she had visited with the Crown Prince. Property Malta took part in the fair, but so did several other Maltese businesses which had nothing to do with property, she said. She visited all the stands she was invited to. “I did not go to Dubai to promote high rise, or indeed any other property...I went to Dubai to promote Malta,” the President said. Her visit, she said, had focused on talks with government officials on various sectors, such as a broadening of Air Malta’s code-sharing agreement with Emirates Airline. She had also observed good practices at a shelter for abused women and participated in a business forum. The President regretted that a newspaper columnist, Mark Anthony Falzon, had written a disparaging article that was 'not based on facts'. I do not remember male heads of state who led trade delegations being punched in this way, so what is the difference from other presidents? “To give the impression that I was there to advertise something is wrong, I promote Malta like other heads of state did before me. "Is it because I am a woman that I am punched in this way. I do not remember male heads of state who led trade delegations being punched in this way, so what is the difference from other presidents?” she asked. She insisted that all the details of her visits were always issued to the media, but some picked what they chose to report. Asked what she will do when she leaves office in April, the President, who turns 60 next month, said she was younger than her predecessors when they left office. She did not say what she would do but said she would remain in the service of the Maltese people.